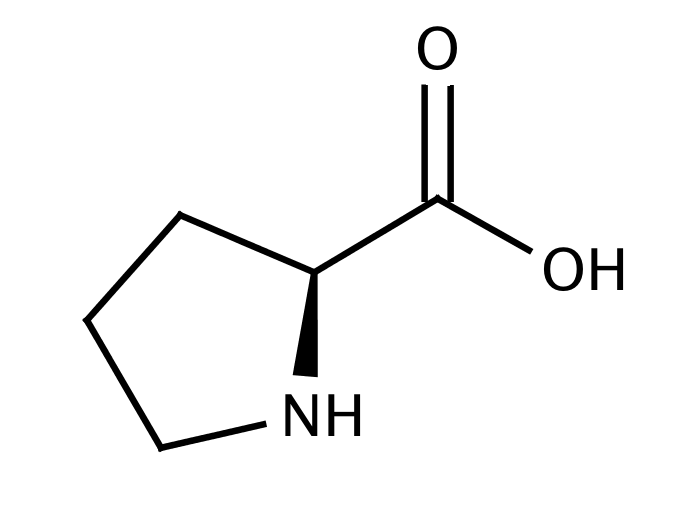 Proline is an α-amino acid that is used in the biosynthesis of proteins. It contains an α-amino group, an α-carboxylic acid group, and a side chain pyrrolidine, classifying it as a nonpolar, aliphatic amino acid. Send us your enquiry for L-Proline. We offer custom pack sizes at special prices. We aim to respond to your enquiry within 24 hours. We value your input so if you have suggestions regarding new applications for L-Proline email us and we will include your contribution on the website.